A bare whiteboard won't attract many eyes. On the other hand, a well-accessorized whiteboard will get a lot of attention. 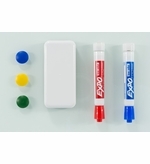 Get noticed with our collection of whiteboard magnetic accessories like dry erase board magnets, marker trays and many more items. 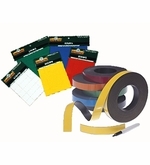 We have products for every imaginable whiteboard need. 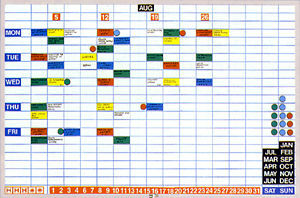 The accessories we carry at MyWhiteBoards.com for your magnetic dry erase board include an array of items to help you get organized, stay productive and to keep everyone around you in the loop. 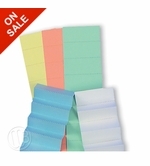 We have pre-cut colored magnetic strips of various sizes that you can easily write on to help distinguish important notes from the rest of the whiteboard space. 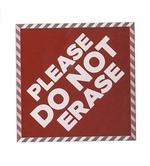 Uncommon items like this are what distinguish our collection. 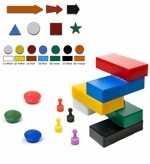 But that's not all - we have the magnetic board mainstays that you need to keep a steady supply of. 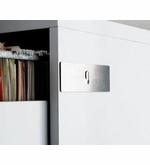 We have items like vinyl chart tape and microfiber wiping cloths to keep your board tidy. 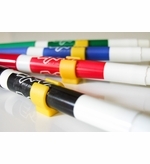 No matter what you're seeking, we have everything you'll want for your whiteboard in our online store. Enjoy our low prices, money-saving deals and excellent customer service by placing an order today. Orders for magnetic accessories are currently shipping from the factory in approximately 5 working days. 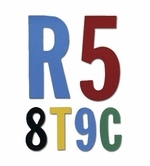 3" & 6" Die cut magnetic letters and numbers sold in full sets in six different colors. 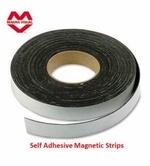 Magnetic rings slip over markers and stick to any steel surface. 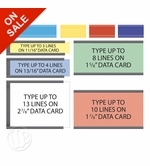 Preprinted Insert Heading Sets for Data Card Holders. 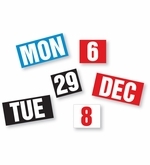 Headings include days, months and numbers 1-52. Magnetic picture and accessory hangers for weights up to 50 pounds. 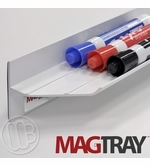 3 Colors, 18", 36" or 48" aluminum magnetic accessory tray. 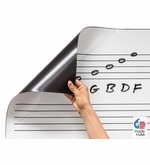 45.25" Tall Music Staff Magnets Fit Most Standard Magnetic Whiteboards.